He wasn’t just doing this for his father. He was doing it for them. For all of them. Will Sumner and his two brothers want revenge upon the cruel and heartless King Drygo. And, they’ve just found an opportunity that the three of them cannot resist – to steal the king’s prized possession – a soul stone. Only, things don’t go to plan. Will manages to steal it….but he accidentally absorbs its power and istaken prisoner along with his youngest brother, John. Then the worst thing possible happens. But, because of the soul stone, Will is able to take over bodies, so he manages to survive his own execution – barely. Even had he been alert, the guard wouldn’t have seen Will, who slammed into him. The man put up a valiant effort, but Will won out and the man was no more. There was only Will, in a new body. King Drygo is on the hunt, and he will do anything, anything to take back Will’s power. Overall – a promising start to a series! I really enjoyed this whirlwind adventure – plenty of magic, mayhem and mishaps – it’ll keep even the most hyperactive kid entertained! The world building was rather well done. The author did a fantastic job of breathing life into such a complex society. 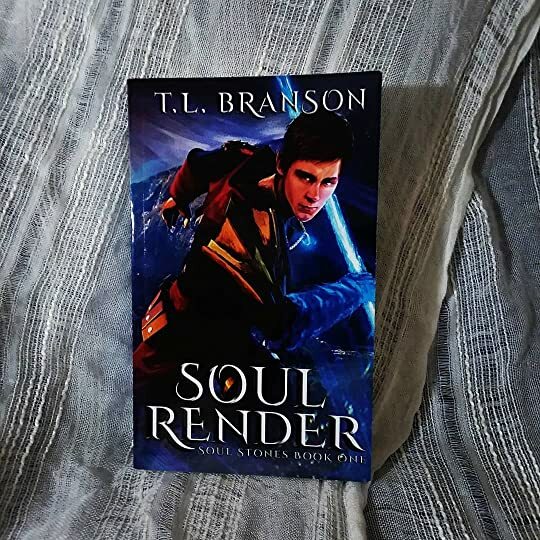 The soul stones and their resulting powers were an unique and highly engaging aspect of the novel. However, there were a few things that did throw me out of the book – and that was the ease of killing. “They were my brothers,” he said. “…I can arrange for you to join them if you’d like,” Will said. Much of Will’s past is shrouded in shadows, but from what I can tell, he must have been training all his life for combat (judging from the sheer number of blades slipping into and out of hearts). I really was curious how he came to possess such weaponry skills and was disappointed that it was never fully addressed. Also, I felt that this book focused a bit too much on the action and not enough on the emotions. I’m not saying I want a sappy romance, but I really expected more of a moral dilemma regarding all the deaths. Every time Will takes a new body, he forces the soul out and destroys it. How to you come to terms with not only stealing someone’s body, but completely erasing their soul? To me, unless the character is truly, truly evil – you’d expect some guilt to show. Will will occasionally have errant thoughts but those were more like an elementary school child’s rationalization (all people working for bad guys are evil and should die). That being said, I did rather enjoy the humor sprinkled in. It added much needed levity throughout the book. “I know what you’re thinking,” the king said. By the gods, he can read minds, too? It made for a fun interlude between the various adventures. Also, I adored Robert’s perspective (Will’s other brother). Robert, completely sans magic, manages to worm his way into the rebels and fight the king on his own accord (I’m a sucker for non-magic characters fighting against overwhelming odds). All in all, I am excited to see where this series goes!